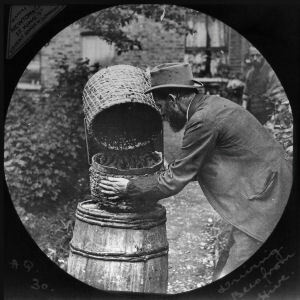 Magic lantern - Work for a living, part 3. 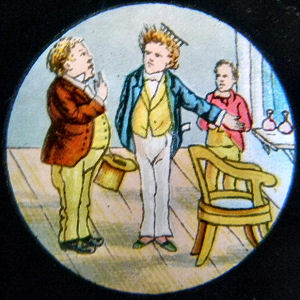 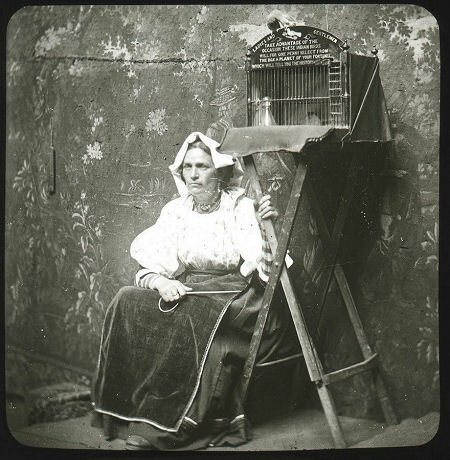 An oblong glass magic lantern slide made by an unknown manufacturer showing a visit to the hairdresser that does not completely follow the wishes of the customer. 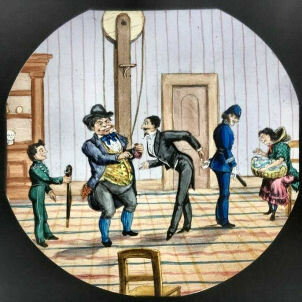 A set of black and white slides made by Newton & Co., London. 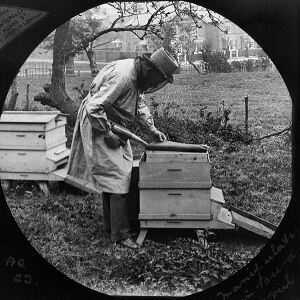 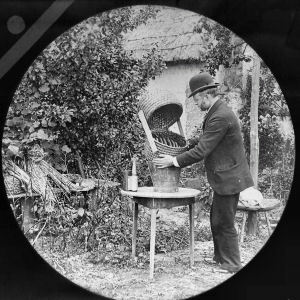 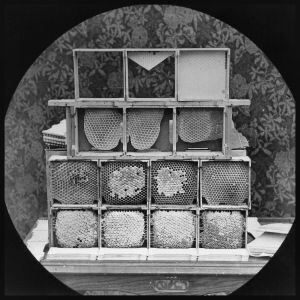 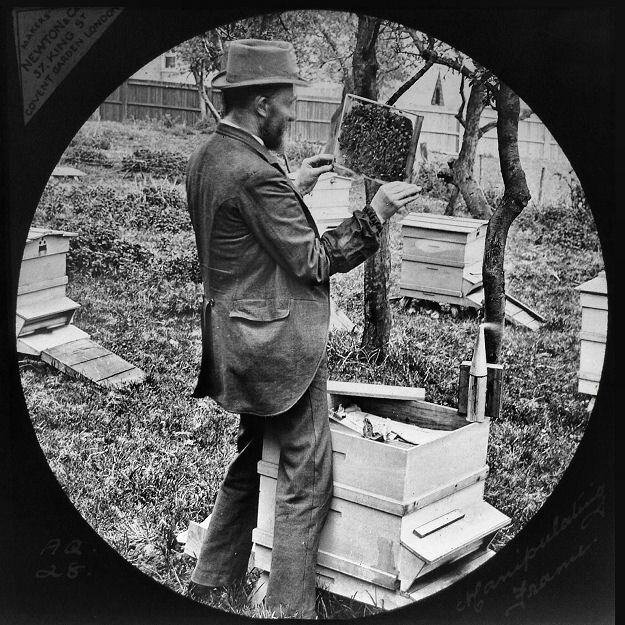 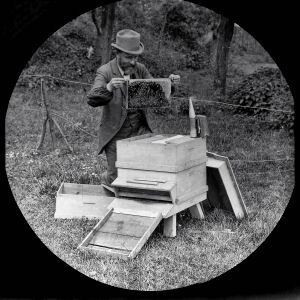 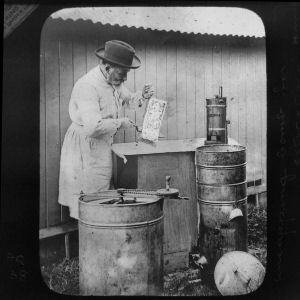 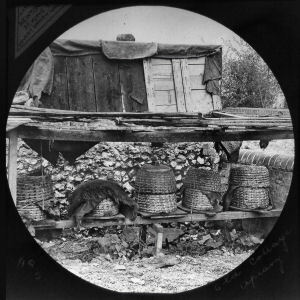 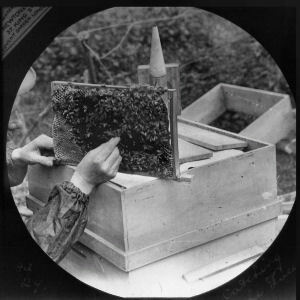 A beekeeper at work. 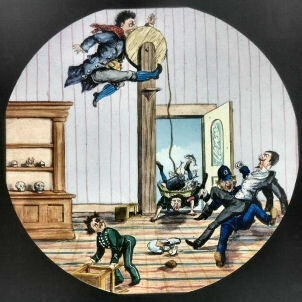 Sizes of the slides are 3.25" or 8.2 cm square. 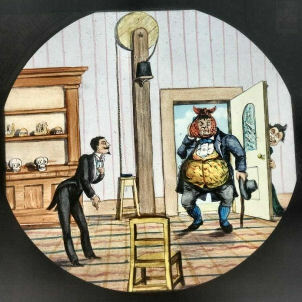 Oblong magic lantern slide with a tormented schoolmaster. 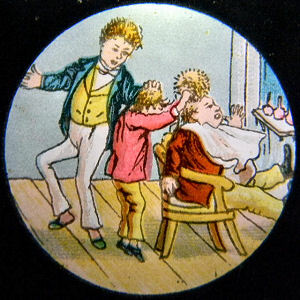 Seeing a dentist who pulls a sore tooth was amusing. 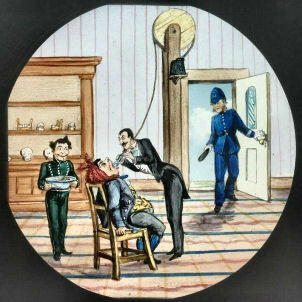 The visit to a dentist was probably less popular in those days. 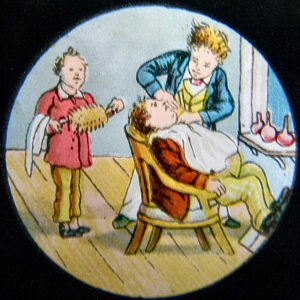 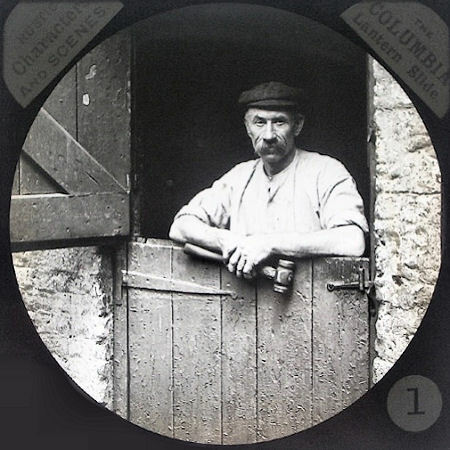 A small label in the upper left corner makes clear that the manufacturer of this comic series lantern slides the English manufacturer W.C. Hughes, London is. 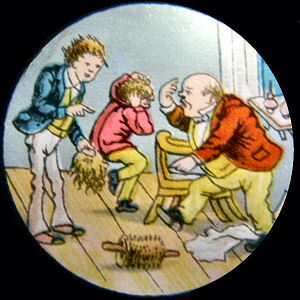 Is slide # 1 missing here ? 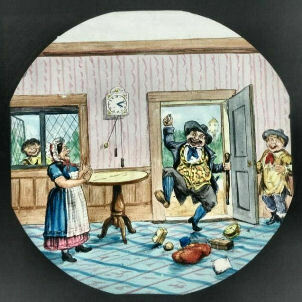 Black and white magic lantern slide, 8.2 x 8.2 cm. 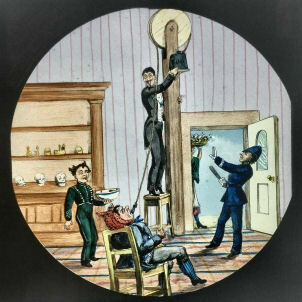 One slide of the set Characters and Scenes made by Colombia presenting a blacksmith with his hammer in his hand. 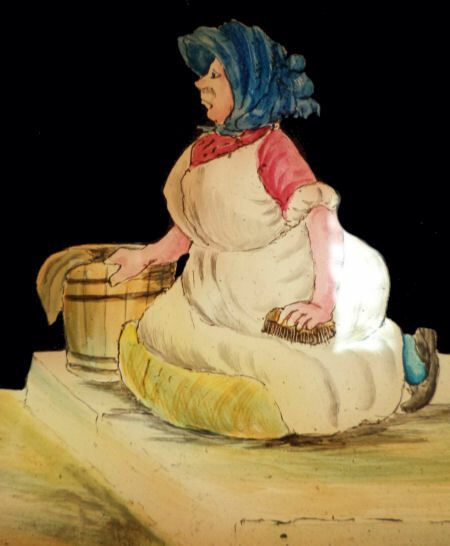 The House Maid Cleaning Front Step. 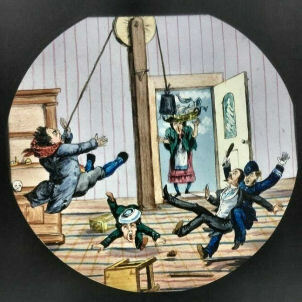 (that happened in those days). 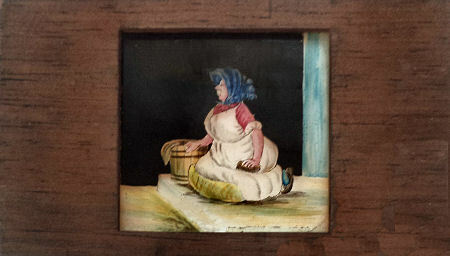 Sizes of the wooden frame are 19.5 cm by 10.5 cm.